We hope that you find our information about the breed helpful, our dogs adorable and the photos fun. The Nizzana Kennel Name is owned by Anne Barclay, her sister, Alison Byrne and Alison's partner, Ivan Kaye. 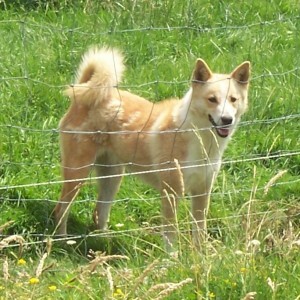 It is a family concern with a small number of dogs and a big love of the breed, and have been Canaan Dog Breeders for a number of years, based in the south-east of England. All our Canaan Dogs are family pets first and foremost, and visitors to our home are always welcome. Please excuse the dust while we are revamping and updating our website!